Vanilla + Amber 23% Zinc Hemp Sun Protection Balm is the perfect daily moisturizer for all skin types, especially sensitive. Organic Hemp Seed Oil and Maracuja (Passionfruit) Oils come together to create sun protection that won't clog your pores or break you out. Phytonutrients not only moisturize, but encourage more even tone and texture. Made without Shea Butter for those with nut allergies, instead we used Vitamin A-packed Organic Mango Butter! Skincare should be simple, and this combination of botanical oils and Non-Nano Zinc Oxide simply works! 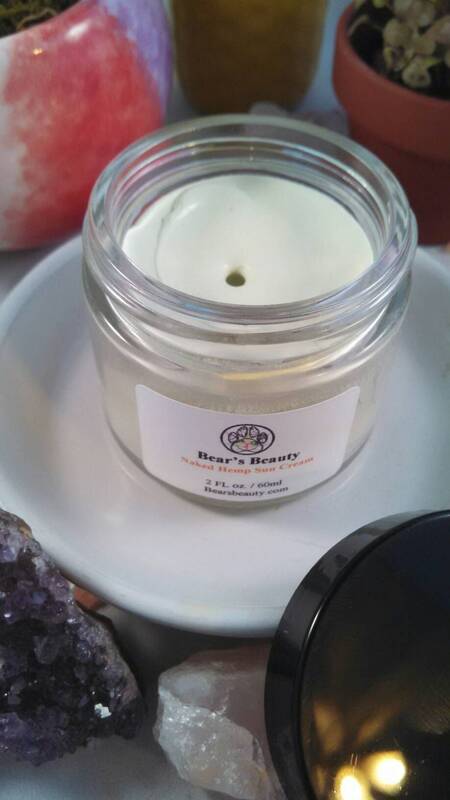 This super concentrated balm easily melts with body heat and soaks in to leave skin protected, but not greasy. Nothing to clog your pores or irritate sensitive skin, this is ideal for the whole family! Apply to clean, moisturized skin. ❤This is a Shea Butter-Free formula. It is made in a facility where I used Shea Butter, so please always allergy test if you are allergic to nuts or Shea Butter.